Fantasy creature? No. Fancy latte? You bet. 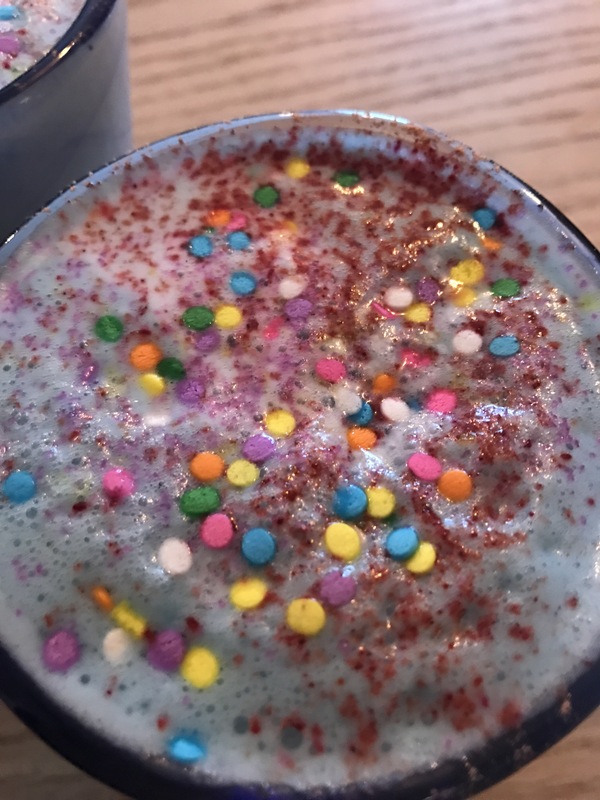 The name, Unicorn Latte, is slightly deceiving. While it’s called a latte, it actually doesn’t have any caffeine in it. Instead, it’s plant based fuel. Both your energy, along with the drink’s fascinating color, come from Blue-Green algae. Yes, you’ve read this right: Blue-Green algae. The same stuff that grows in tropical salt water and sometimes even in fresh water lakes. That being said, it’s commonly taken as a supplement because it’s high in protein, iron and other minerals. That’s not all. 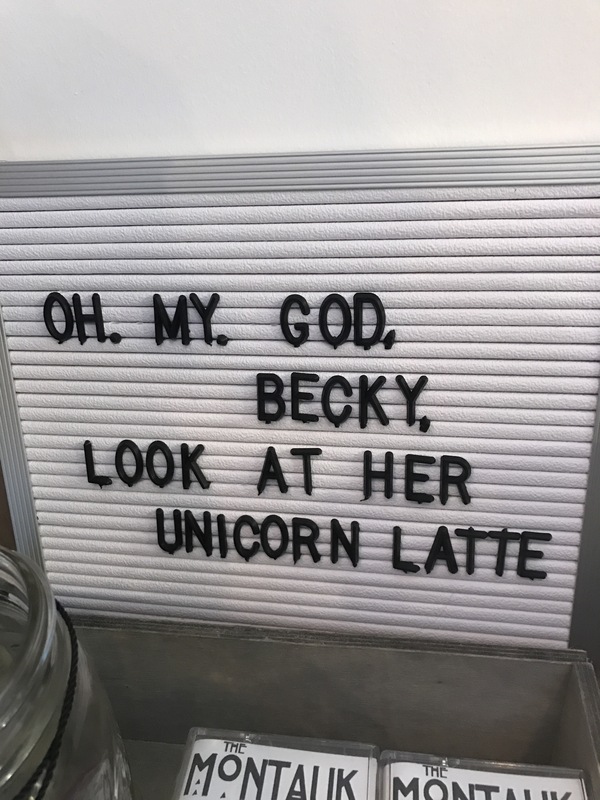 The Unicorn Latte is also made with fresh squeezed lemon, ginger, vanilla bean, honey and coconut milk. It essentially tastes like a warm lemon juice, but it’s not acidic or sour in the slightest. It’s warm and incredibly soothing. 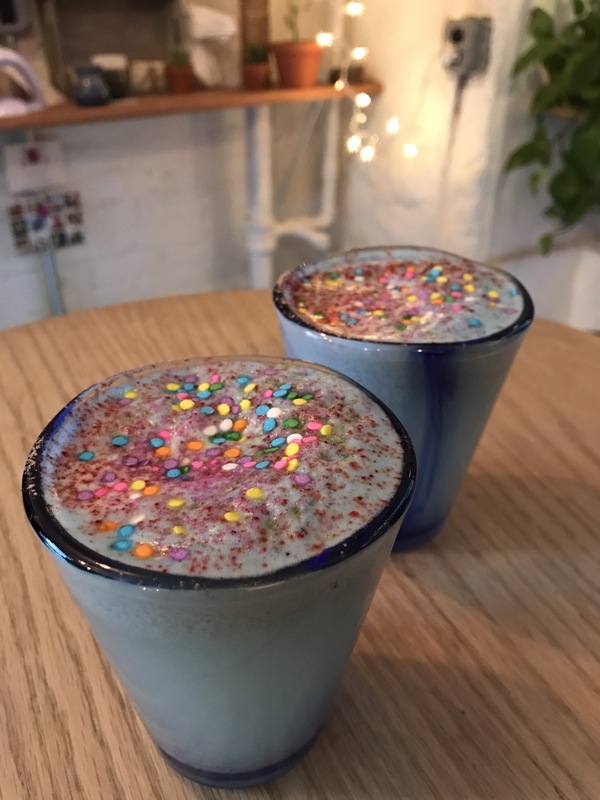 The sprinkles on top make for a nice decorative accent, but they also make the drink a little sweeter. Altogether, it tastes great and not only is it good for you, but it adds a sweet pop of color to your Instagram feed (#amiright?) Never take boring latte pics again!! 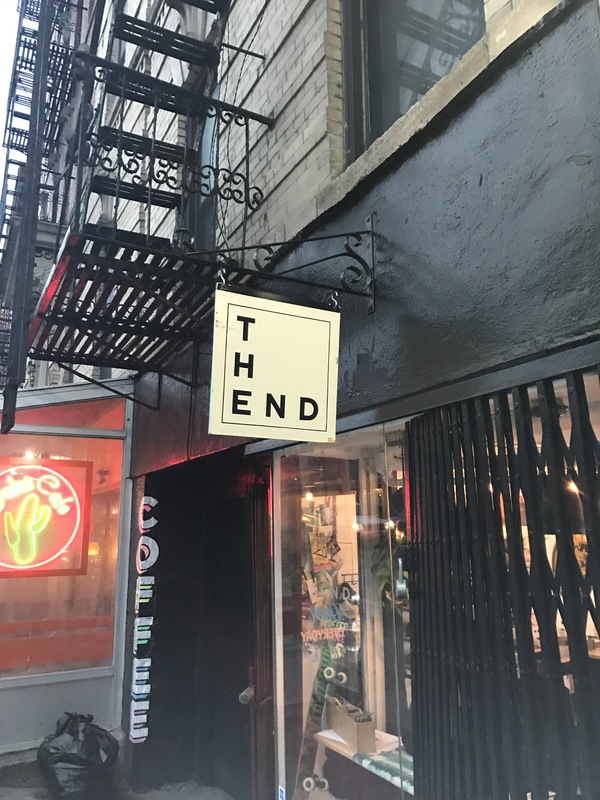 The End’s genius plant alchemists are all about bringing customers healthy, all-natural, healing remedies. 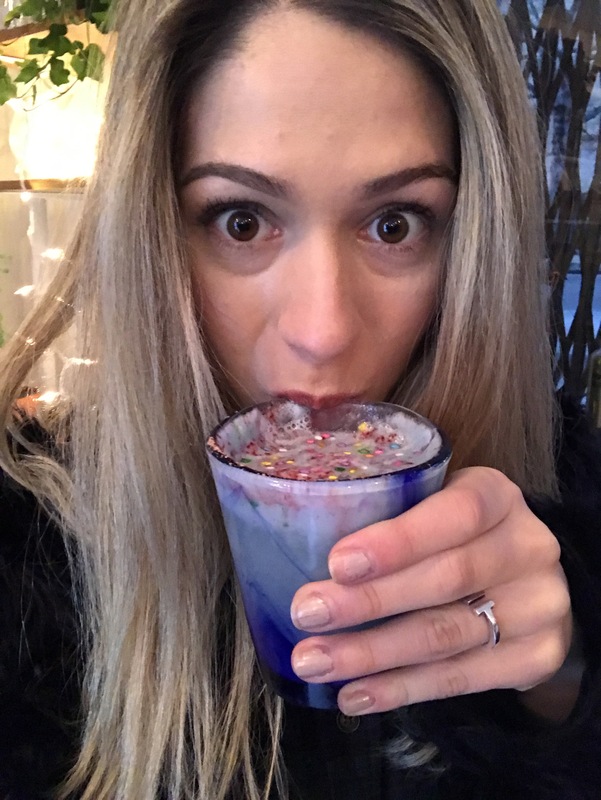 Not ready to indulge in this mystical concoction? 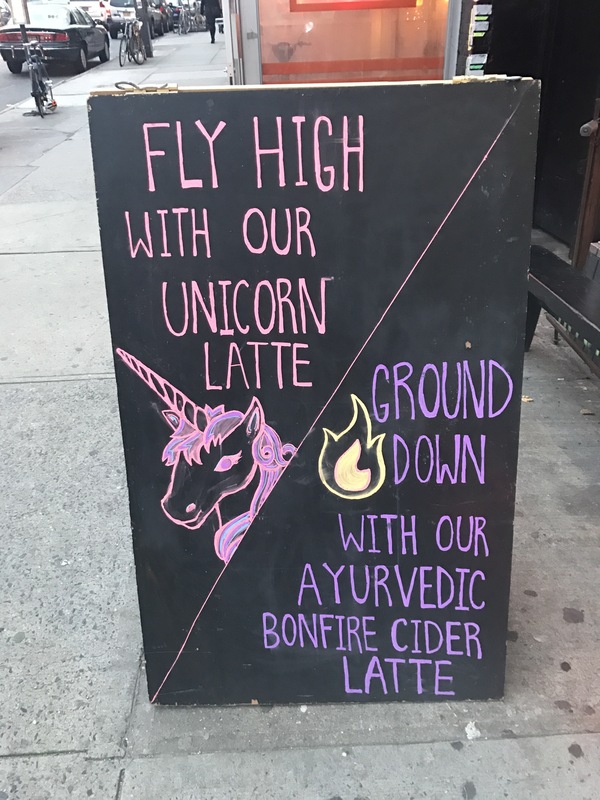 They also offer what’s called the Ayurvedic Bonfire Cider Latte, which is a blend of carrots, apples, cayenne, turmeric, ginger and raw honey. 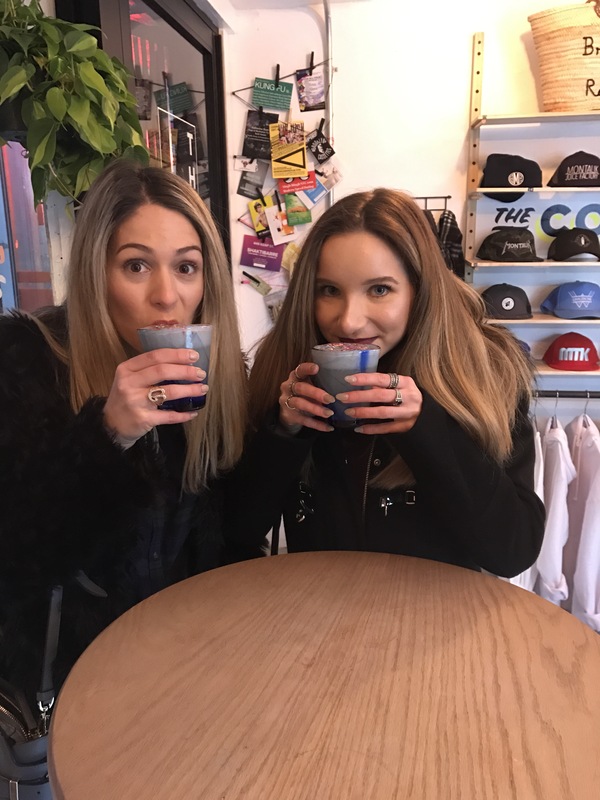 Considering that the owners are the founders of the Montauk Juice Factory, it only makes sense to see that they have a full range of fresh pressed juices at the ready as well. You can, of course, pop in for a regular coffee too (yawn….) The atmosphere alone is worth the trip, though. It’s tiny, but super cute. 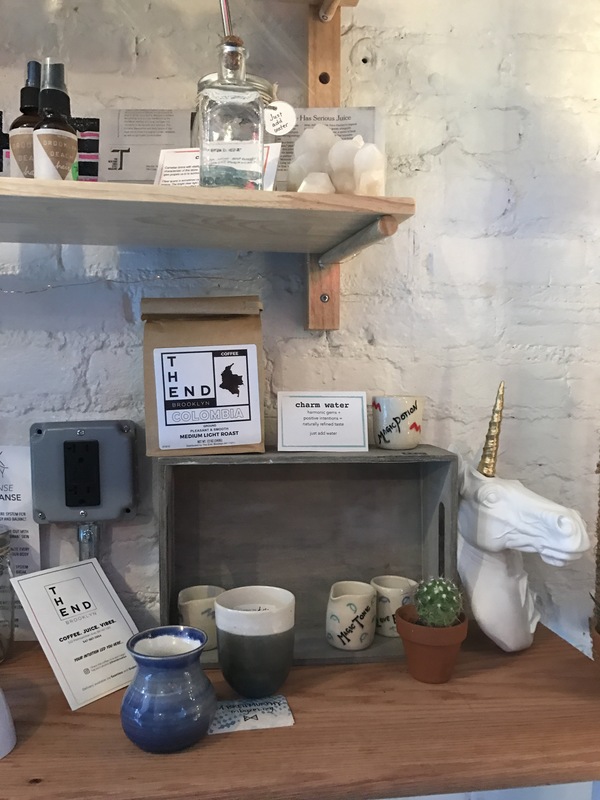 KThere are also tons of beauty products and candles that you can check out too! If you’re ever in Williamsburg (naturally), be sure to make a rejuvenating pit stop at The End. It was so good that despite the $9 price tag, I’ll be back!